Chocolate and mint combine beautifully to create delectable taste treats – think Girl Scout cookies, and mint chocolate chip ice cream – so I was thrilled to find a hundred-year-old recipe in a vintage issue of Good Housekeeping for Chocolate Mint Fudge. This lovely fudge has just the right amount of chocolate and mint to create a delightful candy. The Chocolate Mint Fudge recipe calls for Mint Syrup. 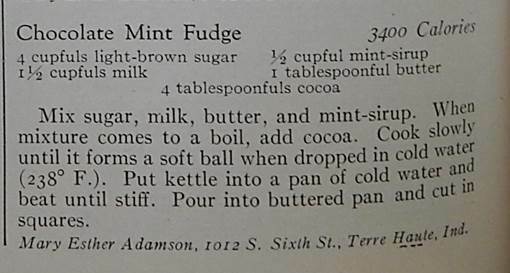 Both the Fudge and Mint Syrup recipes were provided in the old magazine. Put cocoa in a small bowl, add 2 tablespoons of the milk and stir until smooth. Set aside. Put butter, brown sugar, the remaining milk, and mint syrup in a mixing bowl stir to combine. Put in a saucepan and using medium heat bring to a boil. Stir in the cocoa mixture. Reduce and gently boil until the mixture reaches the soft ball stage (238° F.). Put saucepan in cold water, and beat the fudge mixture until it thickens. Put into a 8 inch X 8 inch buttered pan. (If desired, line with parchment paper to make it easier to remove fudge). When cool, cut into pieces and remove from pan. Combine the sugar and water in a saucepan; then add the mint leaves. Bring to a boil using medium heat. Reduce heat and simmer until the liquid begins to thicken to a syrup consistency (about 20 minutes). Remove from heat; strain and cool. Cook’s note: This recipe makes more Mint Syrup than is needed for the Mint Chocolate Fudge. Extra syrup can be used in coffee or tea, or in other recipes. Posted on July 9, 2018 July 8, 2018 by SherylPosted in FoodTagged candy, fudge, mint syrup, recipe. It looks really good. I never thought about how to make mint syrup and I will need to keep that information. I’ve had mint growing in the yard for years and syrup would be a good use of it. I love chocolate mint ice cream, but somehow chocolate mint fudge seems like a contradiction in terms. Of course, I don’t go for peanut butter fudge, or any of the other varieties that have come along. 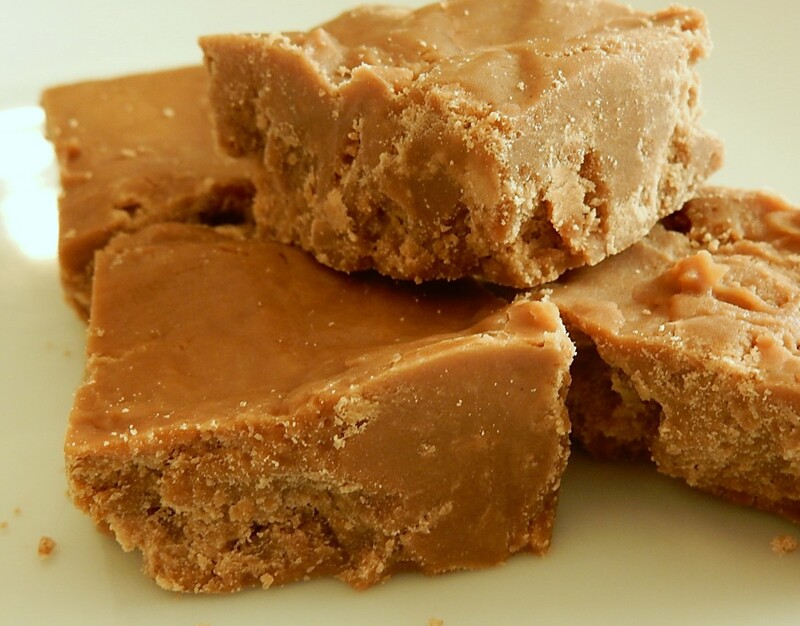 Fudge = chocolate in my book, but if I ever were to try a variation, this would be the one. Yum. I also like knowing how to make mint syrup. Should I not be making the fudge, the syrup might find its way into a Julep… a most refreshing drink for this hot time of year. I’ve never thought of adding syrup of any sort to fudge. I’d eat this, for sure.